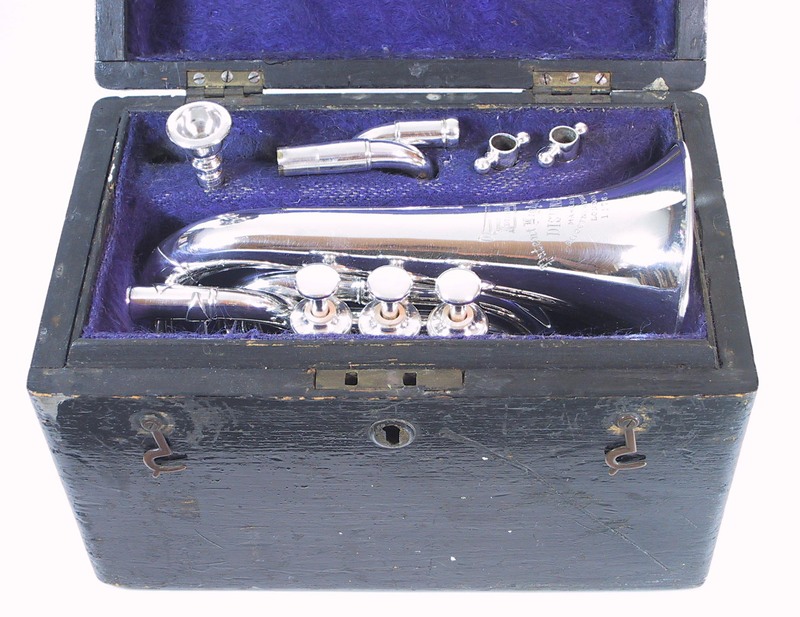 Original Cases for vintage Pocket Cornets and Trumpets are relatively rare. From examining original catalogs, it appears that pocket models were often sold with leather satchel-type cases, instead of the more typical hardcases made from wood. 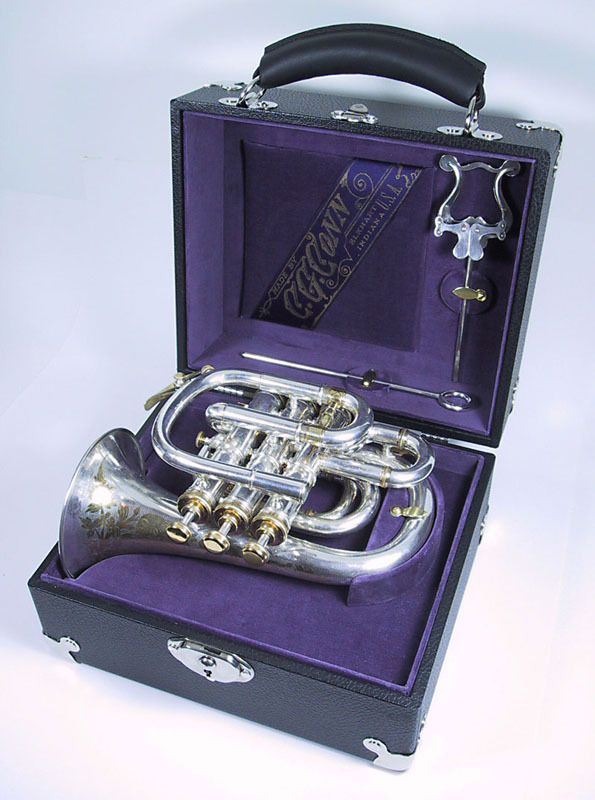 I believe this was due to the fact that so few pocket instruments were produced, and a satchel case required less effort to produce. Leather cases do not age well, and as they deteriorated over time, the majority were likely discarded. I have undertaken to fabricate cases for some of my pockets, to make it practical to bring them to gigs or functions. In doing so, I wanted them to be practical, as well as duplicate the design and construction of that particular company’s hard cases for that time period.